Hello everyone, at last I'm back again. I just want to extend my deepest apology to everyone who reads my blog. I'm late again. Sometimes day job really gets in to my nerves that I can't hardly concentrate on writing decent reviews. But enough of those non sense. What is important is I'm back and I will be reviewing this month's movie event: Alice in Wonderland. Alice Kingsleigh (Mia Wasikowska), is a girl who just turned 19 who doesn't fit in the Victorian Society in terms of character and manner. One day after her boyfriend Hamish (Leo Bill) proposed to him in front of the high society, Alice ran away on pursuit of a White rabbit. She then found a Rabbit hole on an old tree. Assuming that the white rabbit is inside, Alice bend over to look. But Alice fell on the hole and transported to an enchanted place she only knew on her dreams. But little thing she know, this is actually her second coming in this strange land. Walt Disney Studios Motion Pictures presents an epic adventure 3D extravaganza featuring one of the well loved tale of all time. 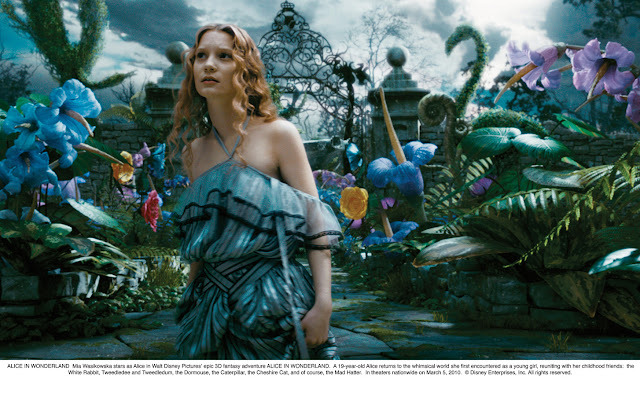 On this film, Alice had returned to Underland after almost years after her first visit as a little girl. This time she is fetched by the Nivens the White Rabbit (Michael Sheen) and brought back to Underland. I don't really remember watching the first Alice in Wonderland Movie before but I find the movie easy to understand even if you didn't saw the first one. The movie provides some flashbacks and some characters also tells stories that happens in the past. So to those who are like me that didn't know the first movie, don't worry you'll catchup. In terms of Cinematography and Makeup, the signature Tim Burton look is once again present. The dark, gothic look with characters having pale makeup and darker shade of eye shadow. It is very perfect because it adds surrealism and gritty feel to the movie. All the characters did very well on portraying their respective roles, of course on top of them are Johnny Depp who plays the Hatter and Helene Bonham Carter as Iracebeth the Red Queen. These two are already a legend not only on Burton film's but also on all films they became part of. Mia Wasikowska on the other hand after doing bit roles on movies like Rouge and Amelia, she finally found her place on Hollywood in Alice in Wonderland. I do enjoy watching all the characters in the film but I want to mention one slight thing that I observed on the character of White Queen, Mirana played by Anne Hathaway. I find Anne's portrayal of the White Queen unnatural and stiff. She lacks fluidity on her movements making her very statuette. Though I also have a theory why she is like that, maybe Tim Burton wants to make the White Queen simulate a living statue since based on the book, Lewis Carol use Chess as device on wars and duels. But either way I still think The White Queen would be better if the actor will go for a more natural execution. This is the reason why I think there are several actors I would love to see as the white Queen like Amy Adams, Tilda Swinton, Julie Andrews and maybe Nicole Kidman. 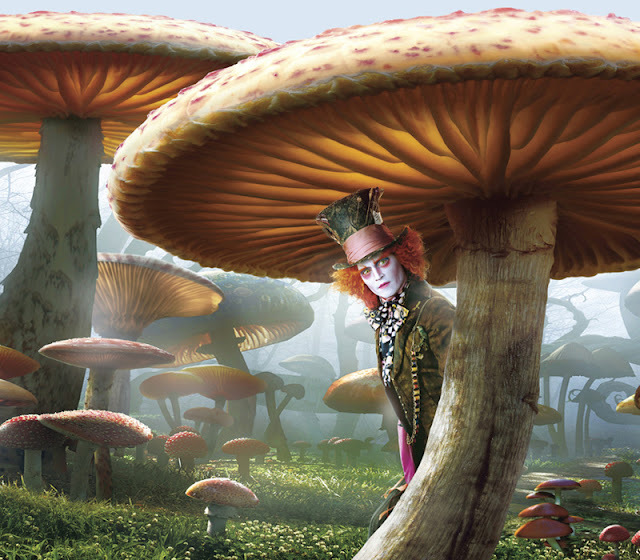 Watching Alice in Wonderland is like going to Wonderland itself. I missed a lot of lines because it is either the actor delivered it too fast or too silent. The varying accent is also a factor for most of the actor uses British and Scottish accent. Some names are really confusing. No wonder Alice miss heard Underland with Wonderland. I don't know if Burton did it on purpose but all the imperfections of the film works well and acts as a positive energy to the movie. Alice in Wonderland is both simple and complicated. It has a straight forward story that most people especially kids will enjoy but at the same time it has a deeper meaning lying on every dialogue and words being thrown by every cast. 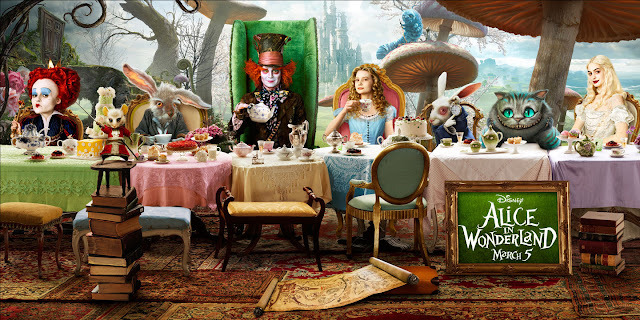 So whether you are an average joe or a movie critic, Alice in Wonderland is a movie that will not only make you enjoy but also a film that will show you the place where all dreams comes true... almost. Now showing across the Philippines, Alice in Wonderland is distributed by Walt Disney Studios Motion Pictures International. Catch it on IMAX. Firstly, a very big congratulations to your blog. It's very good blog that very informative, with lotsa information on movies and plays and actors and actresss and Hollywood. I first see your ad on the movie for Nokia cellphone and I quikcly went on your site (after the movie of course, jejeje) and I found your blog to be very informative with lotsa information. I am inspired to also write like you because same as you, I also like movies, maybe not plays, and also actors and actressess and Hollywood. I wish very hard to write like you. I dont like and not read other Filipino critics because they are very snobby and write long, use very big words, and hard to understand. They only confuse readers pretending to be very smart. Compared to you meanwhile and however, you really explain the details in the movie and the observations you make are very smart. I like to be a film critic like you. What are your tips and must-do? 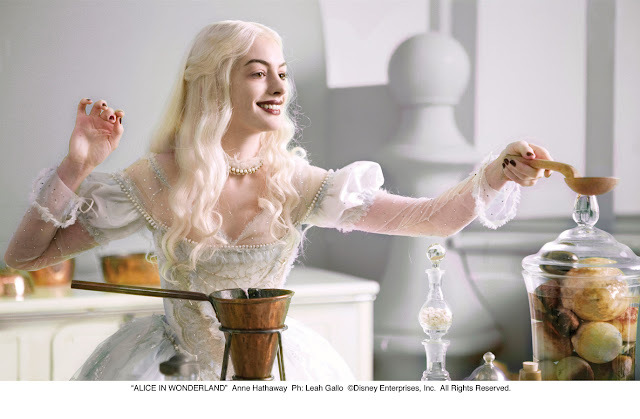 For example in Alice in Wonderland, I also did not like the White Queen because its very robot-like. But when you explained its to be a little stateutte like the Queen on CHess -- I think to myself, "Wow"! Because I dont think like that.I belive you are the only critic to say that, and because of you, I appreciate Alice In Wonderland better. So what tip can you give me because I'm now very inspired to write reviews to for our school paper in high school. Thank you very much Sir and more power. First of all I'm very thankful for this comment, it really makes me smile because I don't really receive a lot of comments like this. It is really hard to review movies. There are a lot of good movies out there as well as bad ones. But sometimes, those bad ones are the one that are entertaining. I know it is hard to understand but sometimes it is true. I would be happy to discuss my method on reviewing movies on a more elaborate way if i got the chance to blog about it. Again, thank you for the praise and have a good day.